From a personal injury lawyer’s perspective, there are very important differences between car accidents and truck accidents that go well beyond the size of the vehicles involved. Most obviously, the injuries are likely to be much more severe in the case of a semi tractor trailer crash. Less apparent is the fact that instead of a single defendant on the other side of your case — the driver — truck accident cases might have a half dozen corporate defendants, each with a different responsibility for the safe operation of the truck, and each of which might potentially be held liable for your injuries. Contact the Boston office of Steven J. Topazio, Attorney at Law for a free consultation about your legal alternatives in the aftermath of a truck accident. Our experience with the investigation and proof of complex claims against high-powered opponents can even the playing field in truck accident litigation, and we can develop strategies for collecting the full amount of the damages you need, no matter how many defendants we have to identify in order to cover all of the theories of liability. Depending on the facts of your case, any one or several of these parties might be responsible for the injuries that result from an accident. It’s just as important to investigate the contractual and corporate relationships involved in a truck accident case as it is to develop a thorough familiarity with the accident scene, police reports, and medical treatment records. Otherwise, you might not have the right defendant in court, and the other defendants will all point to the empty chair. Another important difference between truck accidents and car accidents is proof of damages. In the worst car accident cases, it is relatively rare for the driver at fault to carry enough liability insurance to cover more than a small fraction of the victim’s actual losses and future treatment needs. Once liability is established, you settle for the policy limits and see how much more you can get under your own underinsured motorist benefits. In severe truck accident cases, however, where each defendant is likely to carry millions in commercial liability insurance, detailed documentation and expert testimony is usually necessary to prove damages, even for permanent and disabling injuries to the brain or spinal cord. Although you can still exhaust the policy limits, that might happen at $3 million rather than $100,000. 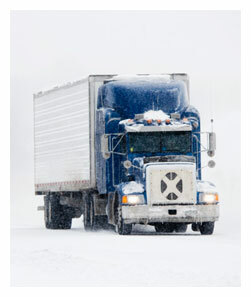 Experience and attention to detail are highly useful attributes for a personal injury lawyer in a truck accident case. To learn how you can benefit from our experience, contact Boston Personal Injury Lawyer Steven J. Topazio at or email him to schedule a free consultation.